While the options from NorthGate continue to expand in bars and liquor stores, expect to find plenty on tap at the taproom that you won’t find elsewhere. With foosball leagues and other fun, it’s certainly worth the trip to drop in. With Wander North Distillery in the same building, there’s all the more reason to stop in. The beautiful NorthGate taproom has a great European pub feel. Plenty of warm wood booths and tables plus a great bar with seating for plenty. Plenty of parking at the brewery right out front in the business park. Plenty of growler goodies and they’ll even take any breweries growler in return. Food trucks are always around the taproom to fill you with tasty grub to go with that great beer. Check their website to see which truck will be there when you plan on visiting. 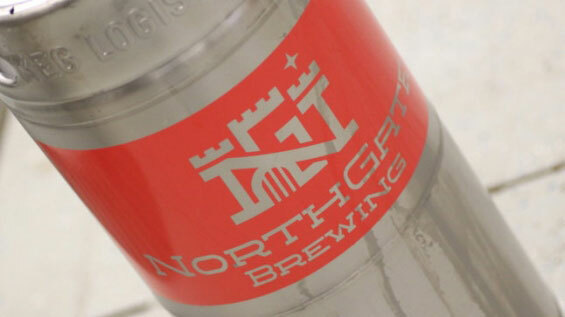 For more information on NorthGate Brewing, checkout their website.